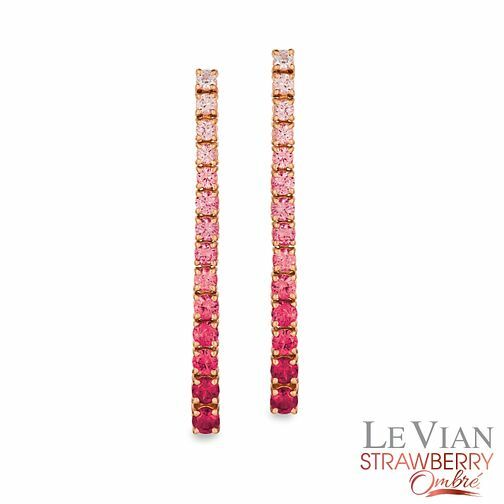 Le Vian presents a beautiful pair of ombre earrings that revel in warm colour hues. Set with Passion Rubies and Strawberry Sapphires that gradually increase in nuance, the 14ct Strawberry Gold ties up the piece together making it an excellent option for special occasions and letting you fully step into colour. The Le Vian name has been associated with the world's finest jewellery since the 15th century and is now worn by Hollywood celebrities and the glitterati.